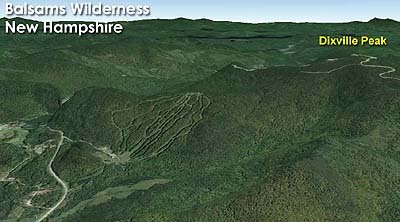 After about 45 years of operation, the Balsams Wilderness ski area closed in 2011 when the Balsams Grand Resort was shut down and sold. 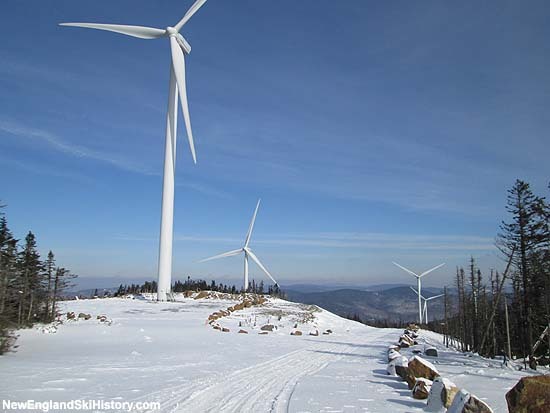 Later that year, 33 ~400 foot tall mountain top wind tubrines were constructed near the ski area, named Granite Reliable Power. 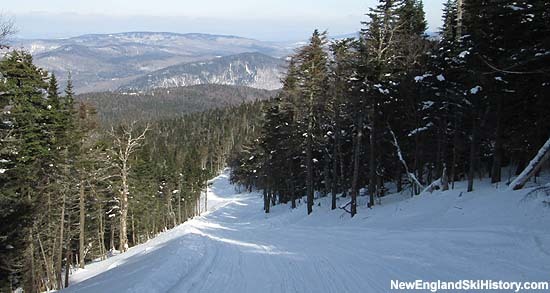 In early 2012, the new owners of the resort received $850,000 from Society for the Protection of New Hampshire Forests for a 5,800 acre conservation easement to block the Northern Pass transmission line. 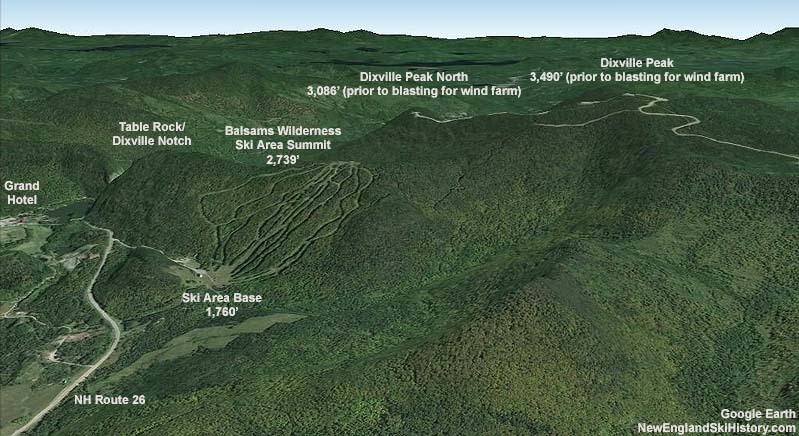 After years of closure, new wave of development talk hit the region in early 2014, when Les Otten formed Dixville LLC to consider reopening the Balsams. 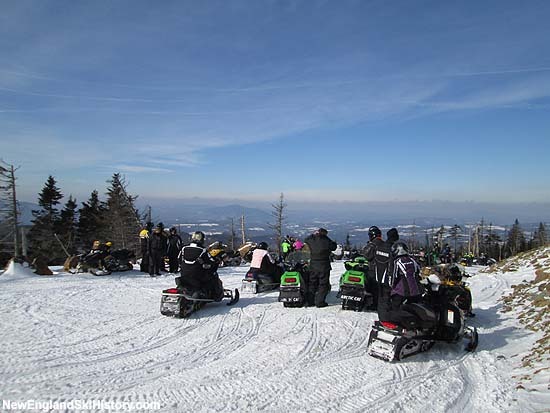 In late February 2014, the Berlin Daily Sun reported Coos County Commissioner Paul Grenier had said a reopened Balsams could be quadrupled and that the ski area could be as big as Killington in size. 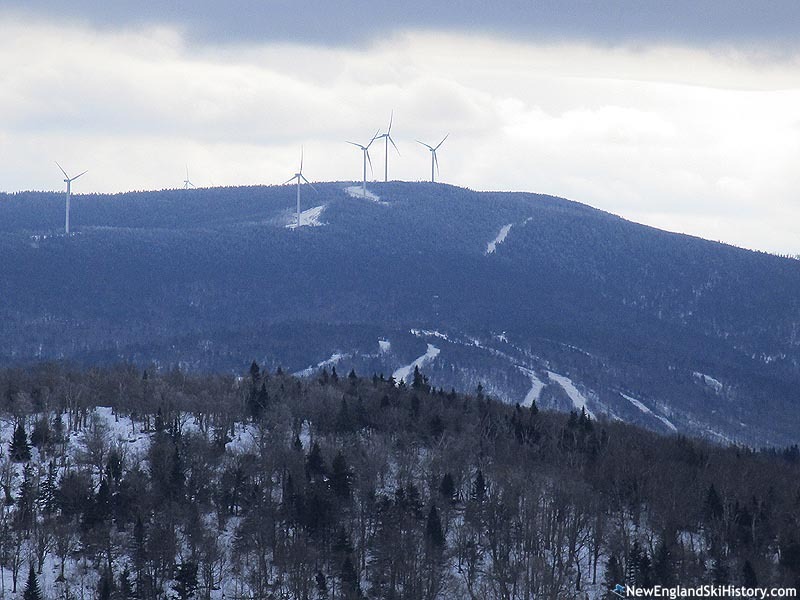 The Berlin Day Sun also reported that the Granite Reliable Power wind farm had a 1/4 mile setback barrier that could hamper potential ski area development and that a reduction to 500 feet would be requested. The county commission has sent a change request to the SEC. 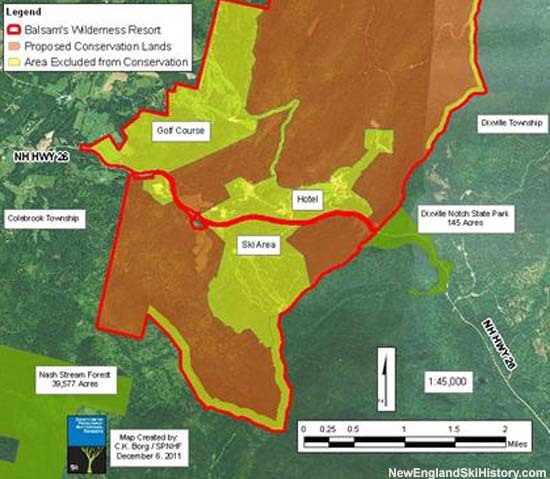 Additional developmental issues may be posed by the 2012 conservation easement sale. Early in discussions, Otten suggested a tramway could be constructed from the valley to the top of the ski area. 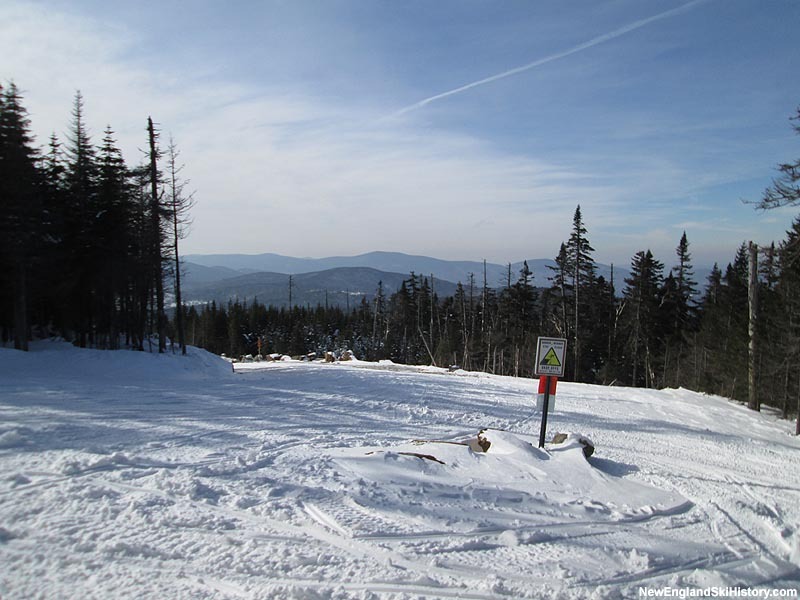 In July 2014, Scott Tranchemontagne announced the first phase of the Balsams reopening may include 1 gondola, four other lifts (likely chairlifts), and 25 miles of ski trails. 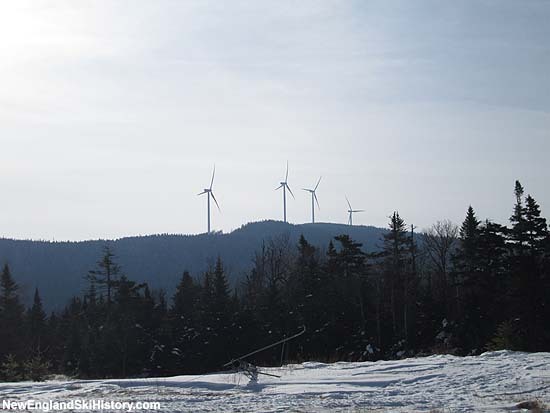 A February 2015 rendering suggests lifts would avoid the summit of 3,480 foot summit of Dixville Peak due to the industrial wind farm, however one lift would terminate around 3,300 feet in elevation. 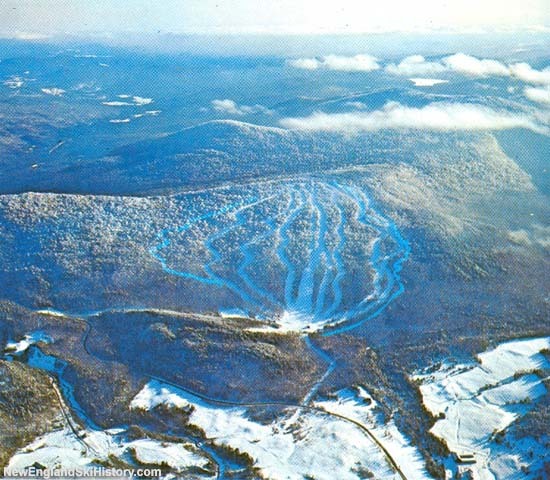 From the top of that complex, skiers could ski some 1,500 vertical feet to the base of the existing ski area. 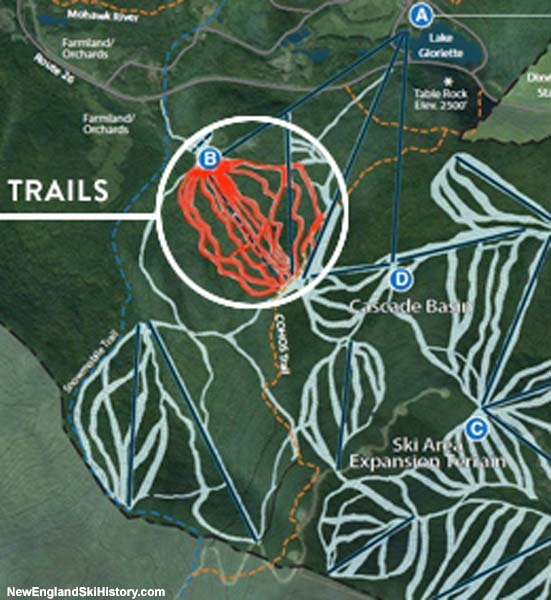 A pod on the north face of the peak would potentially provide access to an area called Cascade Basin, as well as a potentially lower East Village base area near Route 26. Slightly more vertical would be available from lifts reaching the east peak. 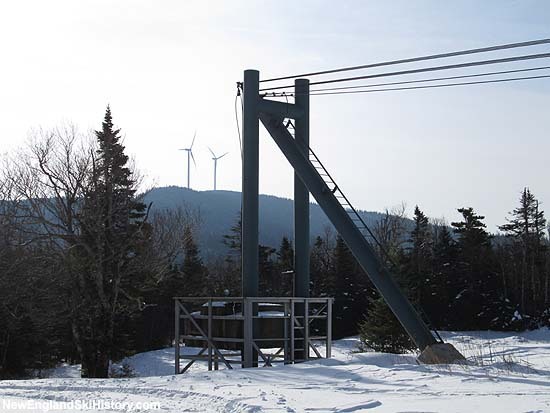 It is not known if or when the trails and lifts on Dixville Peak will be constructed.